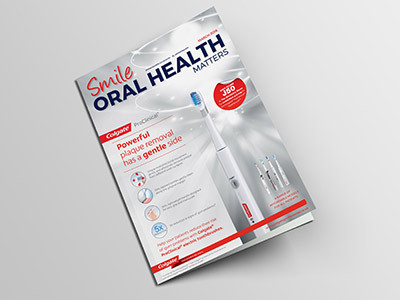 Forming the central plank of our Oral Health portfolio, Smile is the most widely received magazine that reaches this vital group of clinicians who are involved with promoting good oral health. On 8 occasions a year, Smile is distributed to the HOME address of every GDC registered Hygienist, Therapist and Oral Health Promoter, who are the very people that the public turn to for advice on how to ensure they maintain a good oral regime. 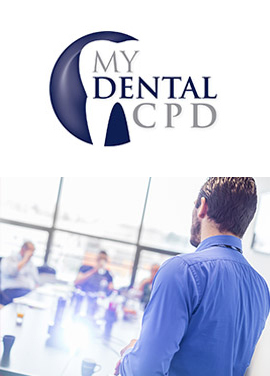 Within Smile there is 10hours verifiable CPD for all readers, which throughout the year provides all ten hours of training required for a DCP per year, making it an invaluable resource for dental care professionals. Research shows that Hygienists generate up to 40% of a practice’s revenue – wielding this much influence over patient purchases and using this much product means it is vital that your product range is seen by them in the one magazine that reaches their homes most frequently and provides their CPD hours for free – it is for this reason that all the major oral health companies use Smile to communicate their core brand messages. We have a prestigious panel of key opinion leaders who contribute to the magazine and who are always on hand to provide advice, product testing, articles and who are an excellent resource for manufacturers to utilise to broadcast their core brand messages. Clinical associations in Oral Health we work closely with and can utilise: BSDHT, BADN, NOHPG, BDHF, BADT. Click here to download the Smile media pack to advertise, or or click here to email the team. 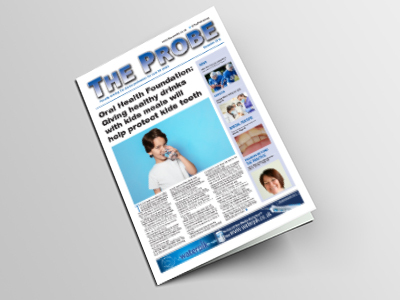 The Probe has been published continually since 1959 and started life as the official magazine of the General Dental Practitioners Association, which explains the high regard it is held in by the dental profession. 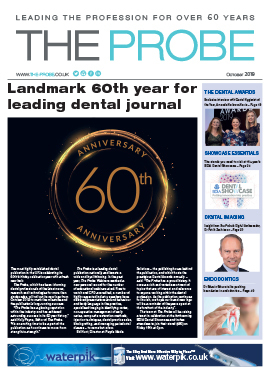 As a result of our roots as a clinical association magazine, the editorial content of The Probe is of paramount importance and as such forms the backbone of the journal – it is the high quality, independent content of the magazine that ensures it is widely read by the profession and explains why The Probe consistently generates the highest levels of response for its advertisers among any dental journal. Editorial content is included on its merit and our commitment to high quality content results in The Probe being trusted by the profession for information on product news, new launches, clinical developments and GDC news. The circulation of The Probe is fully ABC audited, which means that each copy is guaranteed to reach the owner of every dental surgery in the UK.. To ensure even better value for our advertisers we also provide an independently managed, free reader response service, which ensures that responses to your advertising reach you within 24 hours. Being able to provide tangible results for your advertising is extremely important, particularly in the current climate as marketing teams have to justify every penny spent and a show a return on investment. Quantifiable sales leads, are an excellent way of doing this. Click here to download the media pack for advertising opportunities or click here to email the team. 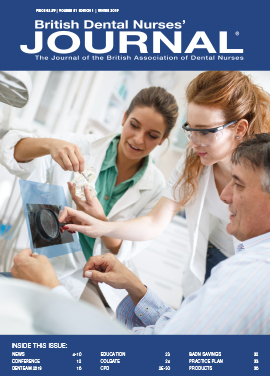 Published on behalf of the British Association of Dental Nurses, the BDNJ is a subscription only title that reaches all 7,500 members of the association. Since mandatory registration, membership of a clinical association has become increasingly important as it provides advice and guidance on clinical techniques, indemnity insurance, CPD provision and a host of other benefits that were previously denied to Dental Nurses. 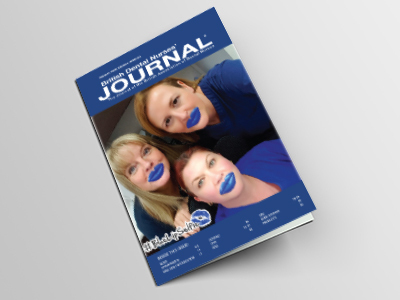 The editorial content of the BDNJ is written by the association which ensures that it is written by Dental Nurses, for Dental Nurses, thereby ensuring that it meets the needs of this increasingly important part of the dental team. Research by the BADN shows that 70% of their members are also practice managers with purchasing power, meaning that 5,250 of our readers are in a position to buy your product for their practice. 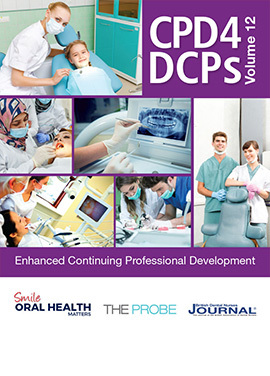 The recent GDC ‘Scope in Practice’ document highlights how extended duties for Dental Nurses has meant that nurses can now perform a whole host of duties within the practice and are therefore a vital group to market your products to. They are with each patient from the moment they enter the practice to when the treatment is over, which puts them in a unique position to influence purchasing decisions of oral health products. The BDNJ contains verifiable CPD content for free, which helps them achieve their mandatory 10 hours training per year. Click here to download the BDNJ media pack to advertise, or click here to email the team..